Unparalleled prowess in technology has made KashTech the go-to firm for a multitude of areas—be it business intelligence (BI) orweb and mobile application development or customized Salesforce implementations. In terms of BI, the company is ahead of its competitors and has carved a niche for itself in effortlessly implementing solutions for predictive analytics, when the market is still hovering around descriptive analytics. “We are experts in providing best-in-class BI solutions provider based on most of the leading Business Intelligence tools in the market especially Information Builders WebFocus, Tableau, PowerBI, and Jasper Reporting,” mentions Kamesh Gopalan, President and Principal Consultant, KashTech. The company provides a full range of services ranging from product installation to development, upgrades, administration, configuration, and maintenanceof all product lines. Implementing solutions and maintaining the infrastructure for data lakes is another area where KashTech proves its mettle. 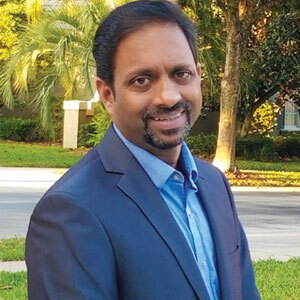 “We deliver solutions and services in data science by leveragingartificial intelligence (AI), machine learning (ML), and big data,” says Gopalan. Also, the company offers IoT analytics solutions and is currently building a social media database for a client using the database and predictive model of analytics. Further, KashTech has even forayed into the development of applications with multi-tier architecture utilizing all the latest technologies in the market. In order to expedite the development process, the company offers proprietary algorithms and pre-developed frameworks that can easily be customized to suit specific requirements of the clients. For deploying a solution at a client location, KashTech follows a thoroughly agile methodology wherein the company goes the extra mile to demonstrate a marked change to clients within a fortnight. Gopalan remarks that KashTech’s approach minimizes the scope for error as the status is communicated to clients much before they spend time and money. The company also provides weekly updates to clients on project status to maintain a high degree of transparency. “KashTech gives clients the confidence about working towards achieving the objectives finalized during requirements analysis,” saysGopalan. KashTech’s outstanding finesse to deliver state-of-the-art solutions has had several organizations seeking its services. In one instance, an organization had a major challenge in the delivery and maintenance of functionalities within a software; the inherent complexity of the software required personnel to undergo lengthy training sessions to understand and mitigate the problem. It reached out to KashTechseeking easier ways of delivering the functionalities to the end users. KashTech came up with a customized solution for the functionality that was extremely simple and user-friendly called custom report, wherein unnecessary product functions were inhibited. The customized solution simplified the delivery and maintenance process immensely for the KashTech’s client. KashTech is cashing on its robust expertise in Salesforce enabled by experienced consultants and developers in the domain. Gopalan says that the company is entering into the partnerships with other organizations to help clients explore the synergy between BI, mobile technology, CRM (notably Salesforce), and IoT analytics in a bigger way. He further adds that KashTech intends to make its mark in the cloud domain through Microsoft Azure. Laser-focused on all the right priorities, KashTech is on a journey to set a benchmark in technical expertise as well as customer service.